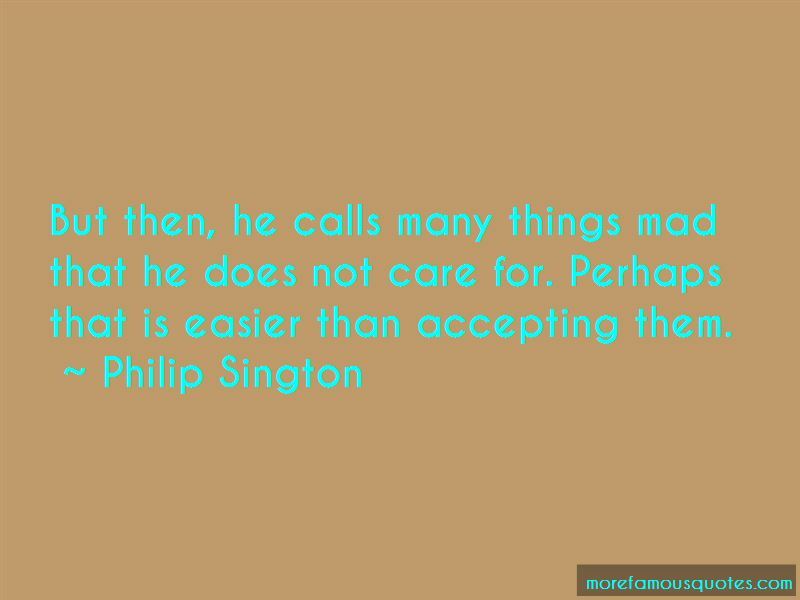 Enjoy the top 22 famous quotes, sayings and quotations by Philip Sington. We drank our coffee the Russian way. That is to say we had vodka before it and vodka afterwards. Desire is an appetite, quickly sated. Longing is a wound, an opening in the heart or the spirit. Whatever the cause, whatever the duration, it almost always leaves a scar. “All writers are insecure, the male ones especially. It's well known. Why else would they spend so much time on make-believe? They're only happy in their imaginary worlds, because that's where they're in charge - where they're God. Did you know that Hemingway's mother dressed him as a girl until he was six years old? The railway was part scalpel, part movie camera, slicing the city open, parading its inner workings at fifty frames per second. It was on the S-Bahn that she felt least abandoned, as if the act of travelling turned back the clock, and brought her nearer to the future she had lost. The wind funnelled down the covered platform, jostling the passengers and tearing at their clothes. A woman's scarf whipped by overhead, somersaulting as if intoxicated by the sudden taste of freedom. He reached into the grate, picked out a couple of scraps, smoothed them out, leaning close to the flickering light. He was curious to see what it was Zoia had decided to destroy. I have found that in fiction one is freer to speak the truth, if only because in fiction the truth is not expected or required. You may easily disguise it, so that it is only recognized much later, when the story and the characters have faded into darkness. The future can always wait so long as the here-and-now is rapturous. 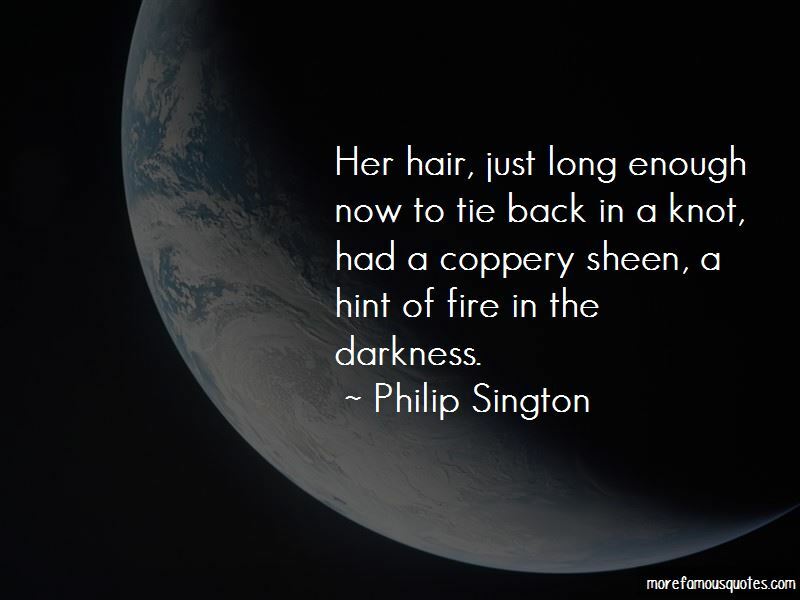 Want to see more pictures of Philip Sington quotes? 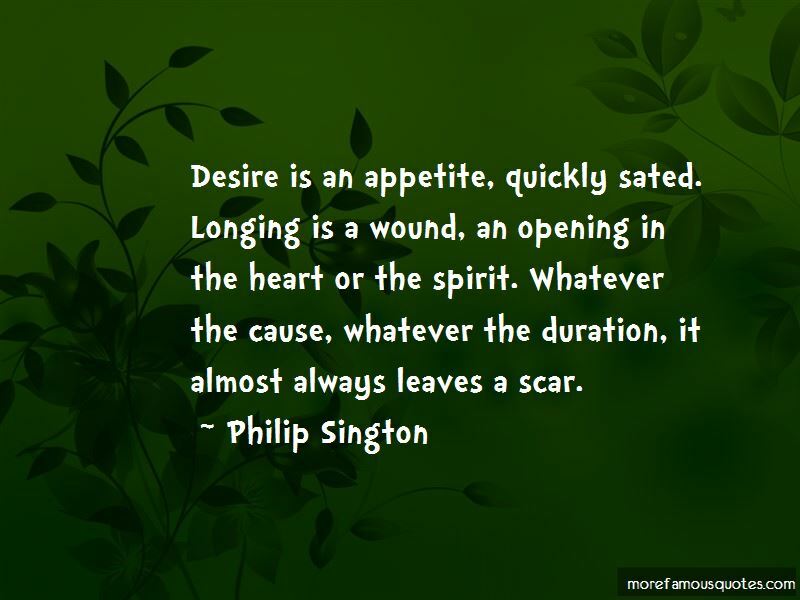 Click on image of Philip Sington quotes to view full size.